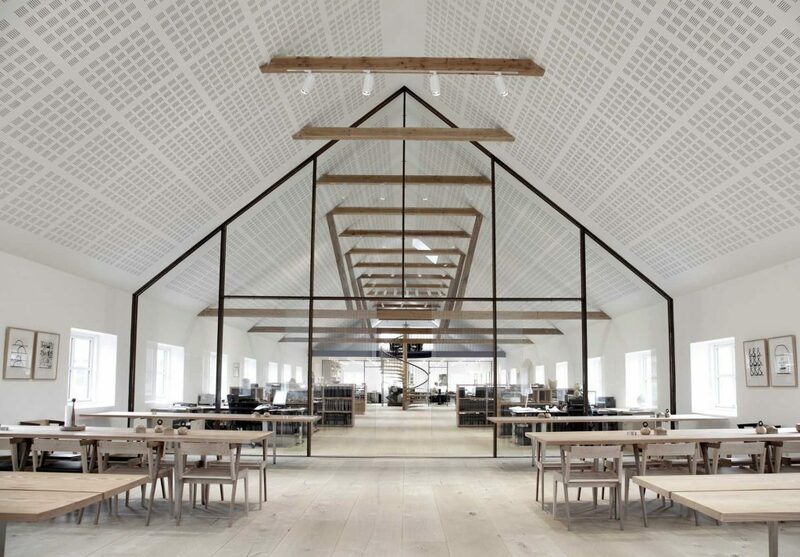 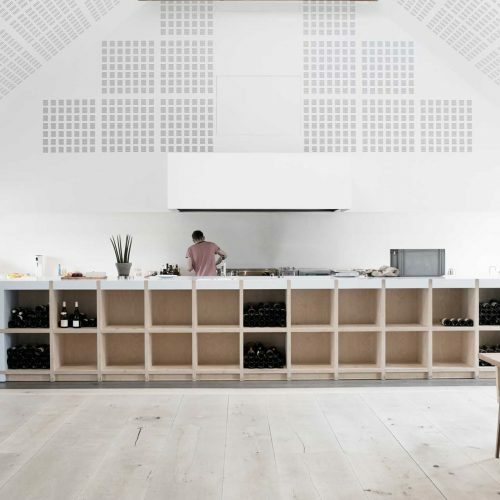 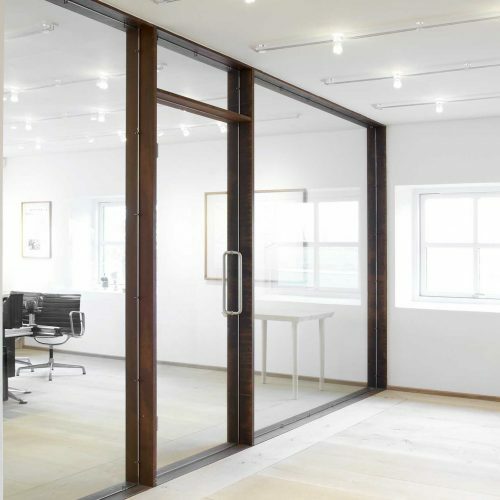 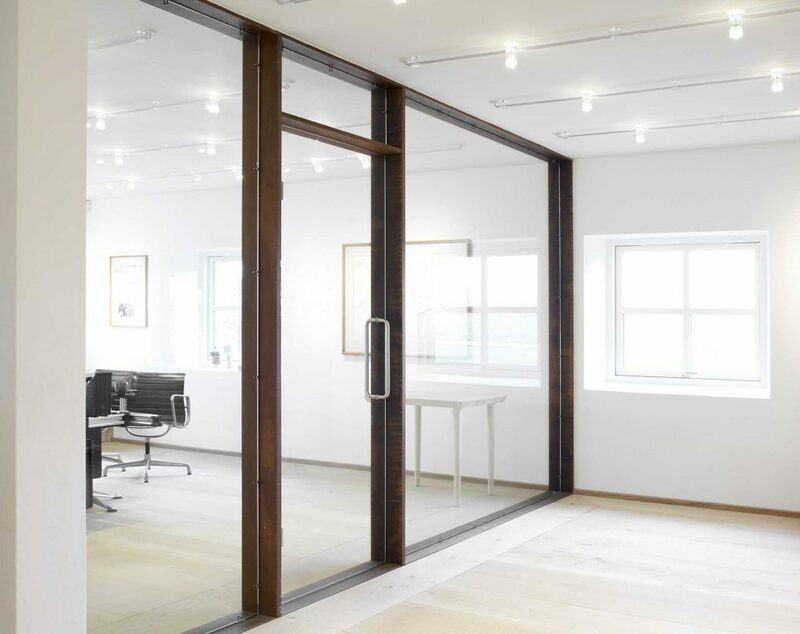 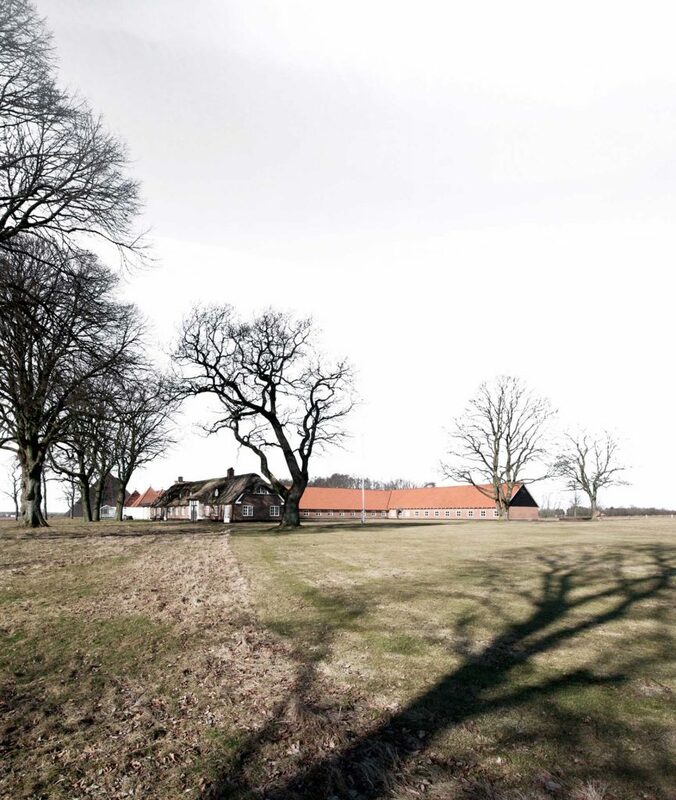 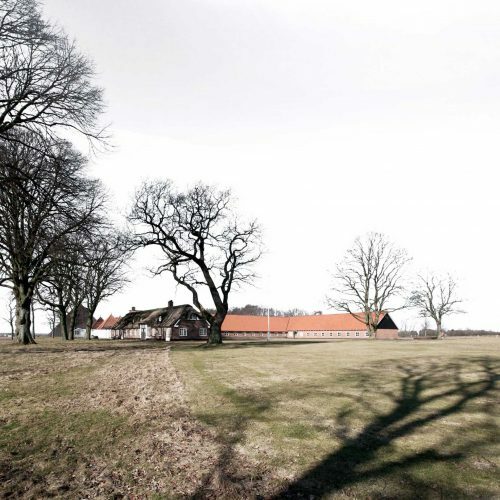 The project for the office building for Damgaard / A Hereford Beefstouw in Lund near Herning, Denmark, consisted of several parts: The complete renovation of an old barn worthy of preservation, where the building’s original expression is preserved, while the natural light take-in is increased through a series of expansions of the windows. 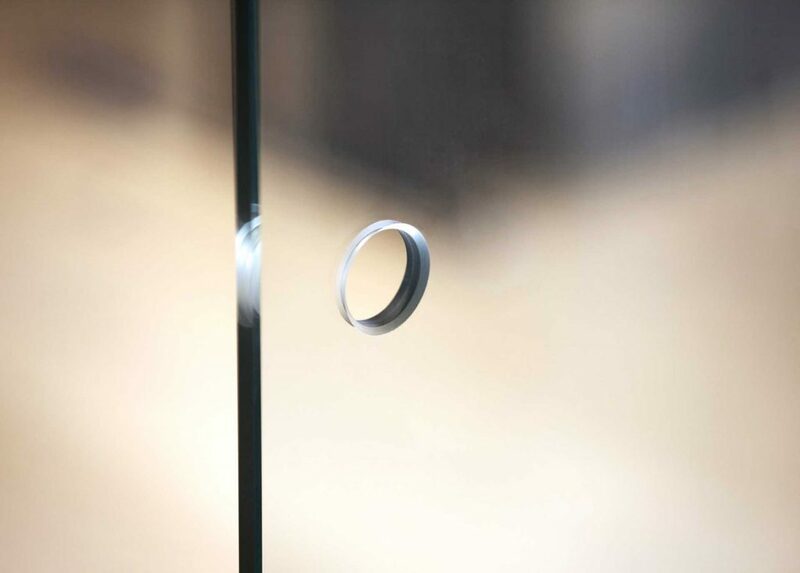 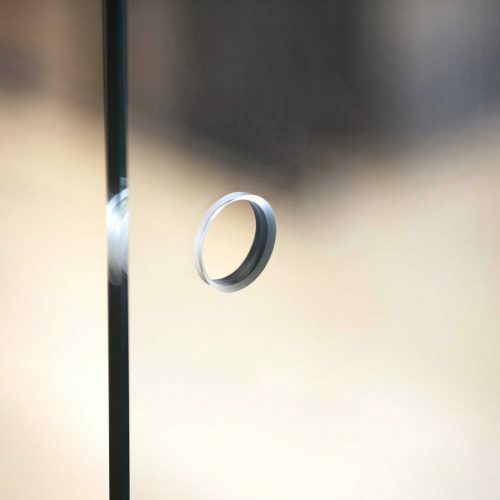 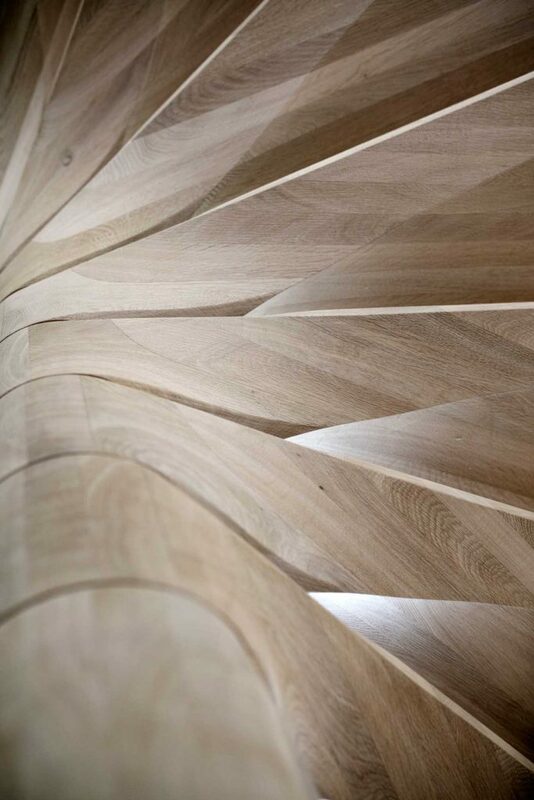 In addition, a series of customized design elements and a general, thorough modernization of the interior surfaces. 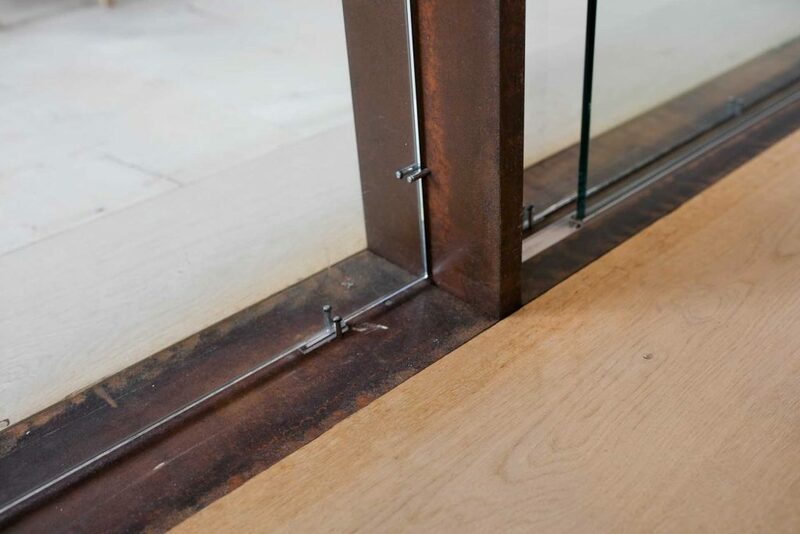 Basically, we used the materials and details as design drivers, thus allowing a large space to be articulated through three main elements. 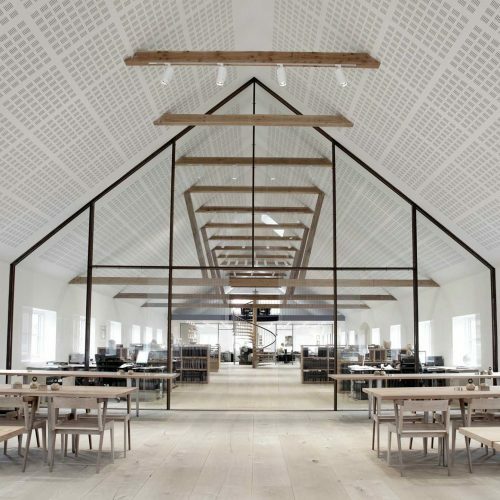 The production part of the office is kept in an open relationship with the rest of the office as a ‘kitchen for experimentation’ with additional canteen and event space. 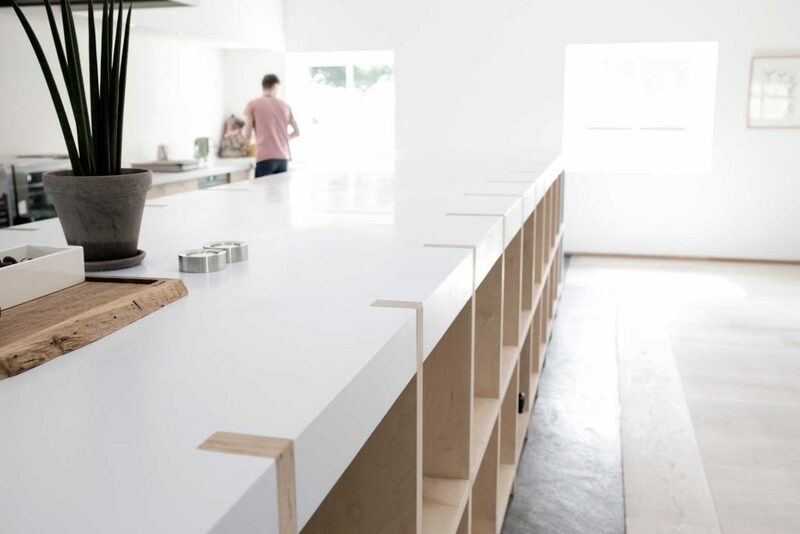 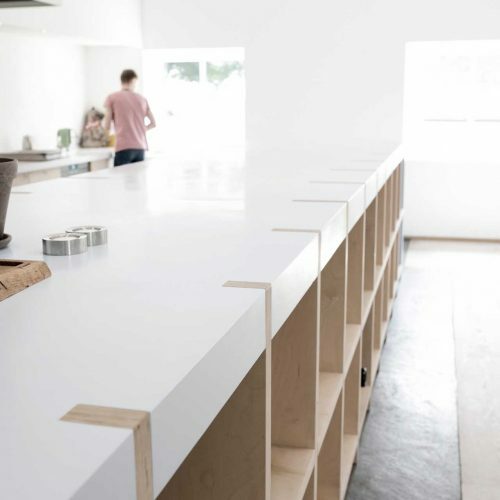 The kitchen island is designed and specially made in wood so it appears as a unique, single element. 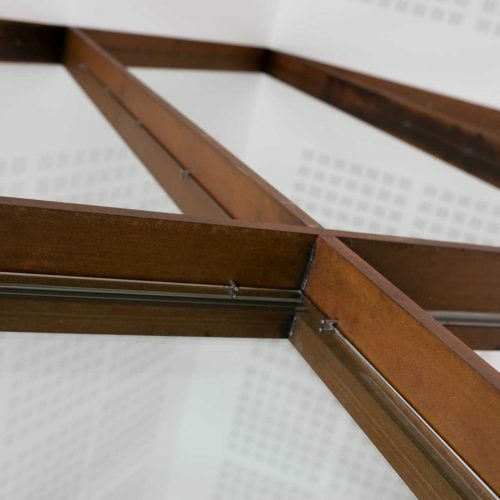 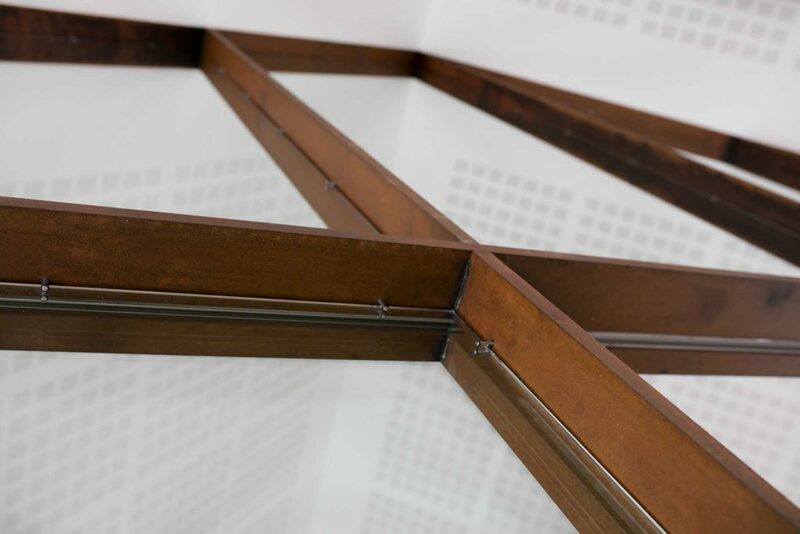 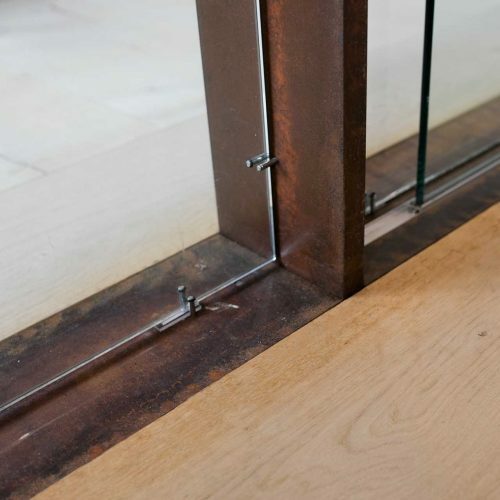 It was important that the contact between the food you are cooking in the kitchen and the administration was preserved, which is articulated through a light glass wall where the pillars are custom produced in beams of 30mm Corten steel. 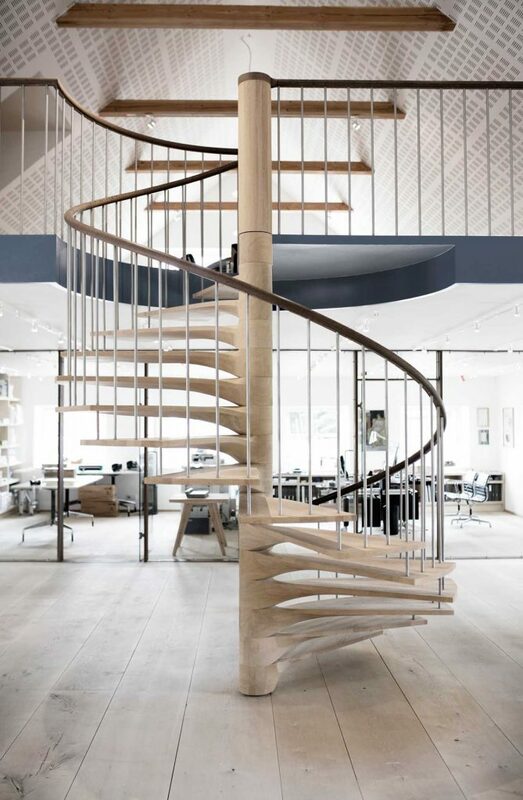 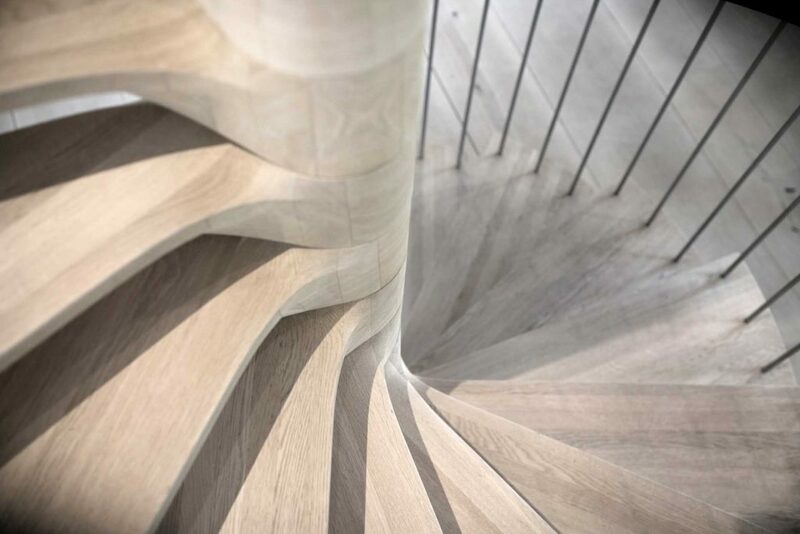 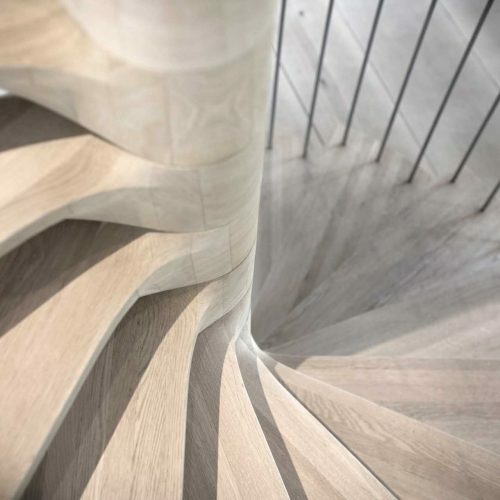 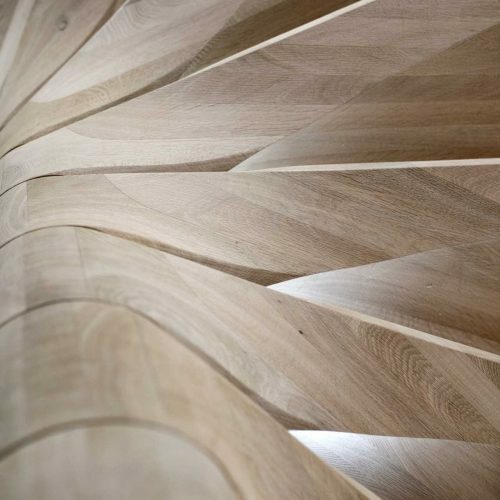 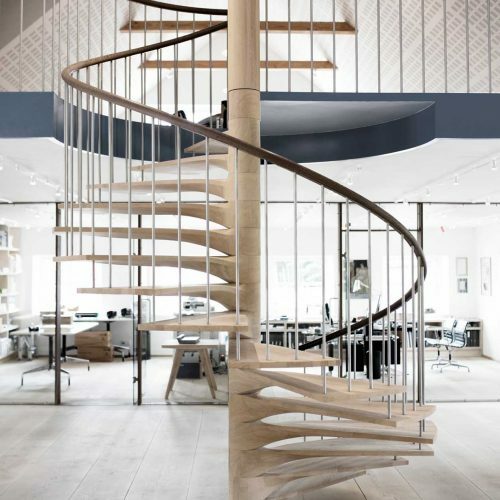 Finally, a centrally located, sculptural staircase carved out of solid wood using CNC technology, established a contact with meeting room and storage on the second floor. 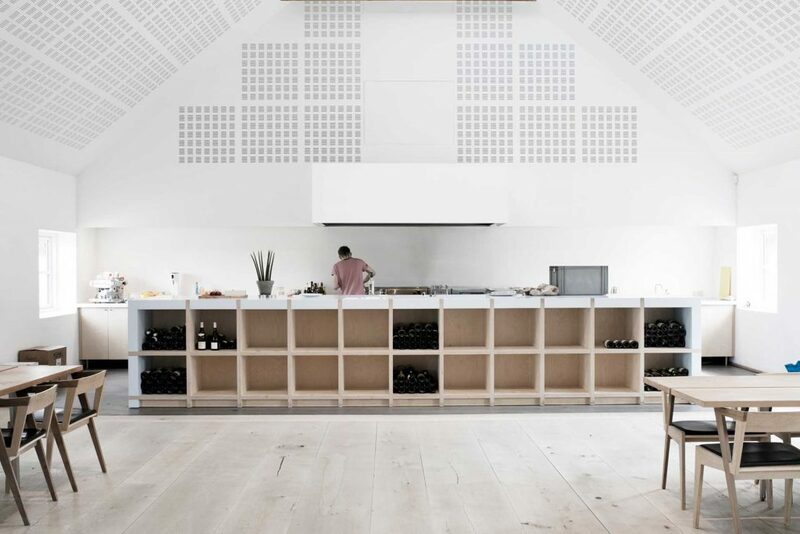 The three elements speak together through an open office environment which today serves administration, development of new dishes, various events as well as representative of the British Consulate in Jutland.